The Super Bowl 50 Halftime Show will be performed by Coldplay. Pepsi is the sponsor of the Super Bowl Halftime Show and is releasing a ton of content around the halftime show. 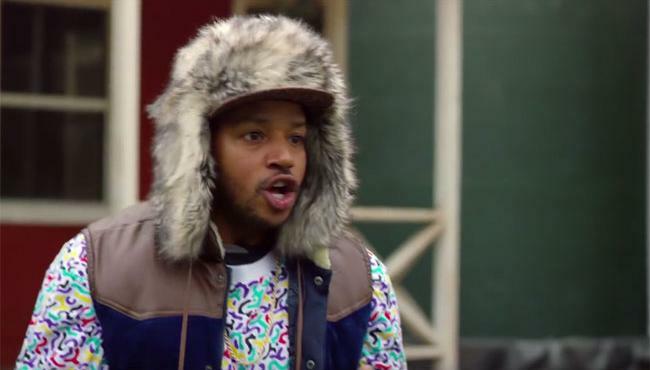 The funniest so far is the Camp Halftime web series starring Scrubs actor Donald Faison. The first episode of Camp Halftime premiered a week ago. Today Pepsi released the Camp Halftime Episode 2. Head Counselor Martin Tulaine (Donald Faison) is putting everybody to the test in this episode of Camp Halftime. What crazy obstacles will the future backup dancers face? Are they up to the task? Is Martin's head too warm under that crazy hat? Watch the video below to find out. In another series of online videos, Pepsi is taking fans behind the scenes of the making of the Super Bowl 50 Halftime Show. In the first episode the design and the concept of the 12 minute Super Bowl halftime show are revealed. There is a third Pepsi Halftime Show related online video show titled "Pepsi Halftime Show Show with Rob & Paul." The 1st episode is online now, but I don't find it entertaining. The humor is just not working for me. Camp Halftime is funny, but the Halftime Show Show needs some major improvements. Check it out below. The Pepsi Super Bowl Halftime Show is the most-watched musical event of the year. More than 118.5 million viewers in the U.S. watched last year's show, marking the most-watched Halftime Show ever. Coldplay should be able to top that as Super Bowl 50 will be bigger event just because of the 50th anniversary. The Super Bowl 50 will get a week long treatment on CBS involving specials and Late Night take overs. The Super Bowl 50 Kickoff Time is at 6:30pm ET. Read the latest Super Bowl 50 News.